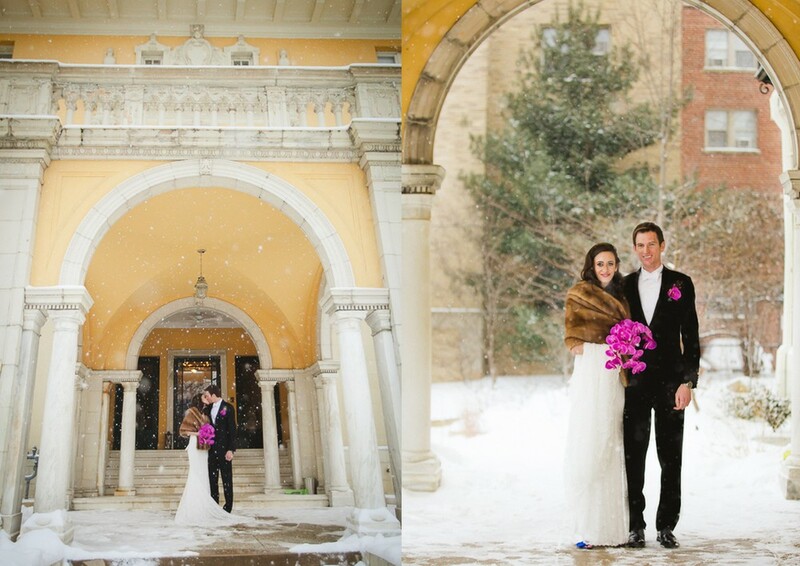 We ended up having a beautiful snowy day in DC on Hillary and Andrew's wedding day. Even though it was snowing like crazy outside we still ended up having such an amazing time. Hillary and Andrew were wed at Josephine Butler Center surrounded by friends and family. Hillary was stunning in a Anna Campbell wedding dress. I loved the beaded details and vintage flare to it, not to mention they had the most beautiful flowers! Andrew and Hillary had such a kindness to both of them and it truly was an honor to be part of their day! Here are a few from their wedding day!